A Sure Defense: The Bowie Knife in America documents the most extensive public exhibit of bowie knives ever held, hosted by Historic Arkansas Museum from December 2013 to June 2014. This exhibit contained over 200 knives with a combined value of more than 5 million dollars, and was documented with professional grade photography by Buddy Thomason. 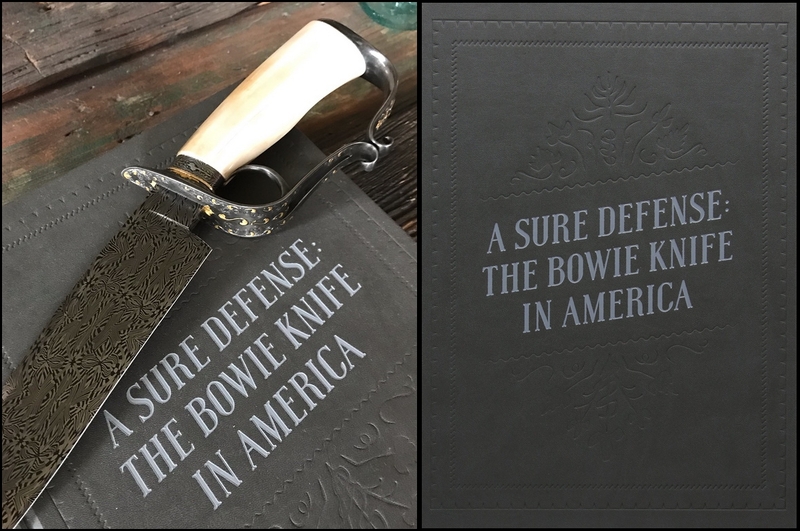 The book also contains two scholarly essays on the history of the Bowie knife by former HAM Director Bill Worthen and KNIFE Magazine editor Mark Zalesky. It was printed on heavy coated stock (weighs about 7 lbs.!) and was published in a limited edition of 1000 books. Go to www.KnifeMagazine.com to purchase.